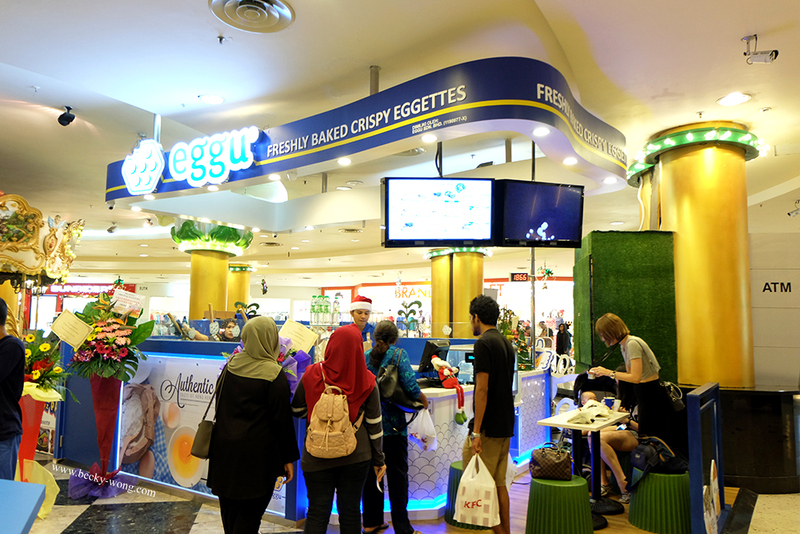 Eggettes lovers, Eggu has landed their 2nd outlet at Sunway Pyramid! 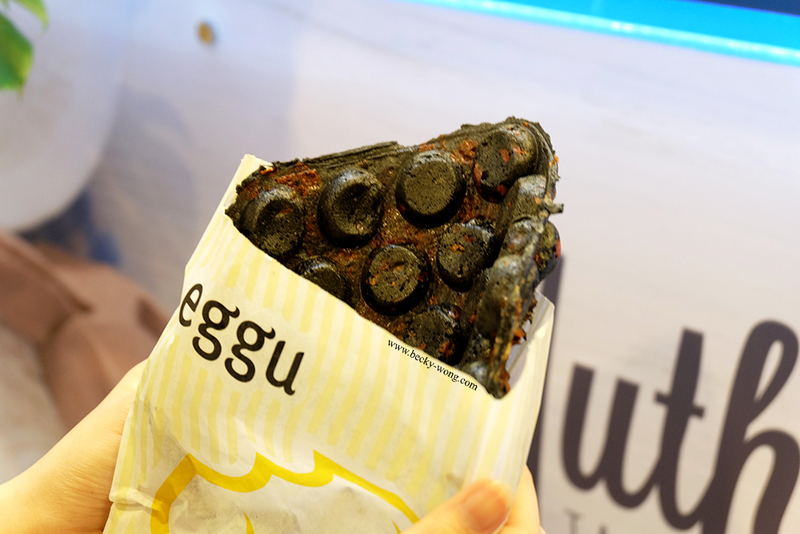 Yes, Eggu has officially opened to public in December, a week before Christmas! The stall is located at Level LG, opposite of Brands Outlet. 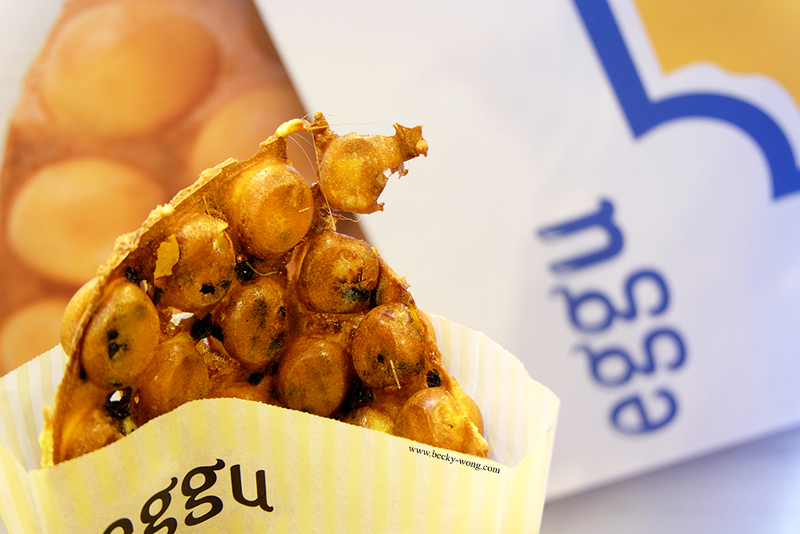 Despite being new, we could see people are walking in to get their share of yummy eggettes at Eggu. Marshmallow Choch (RM 7.90). 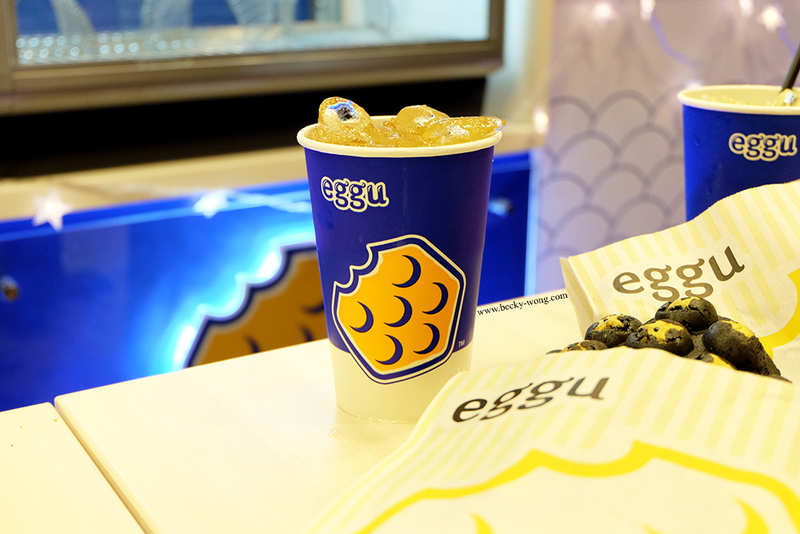 Marshmallow and chocolate is a perfect combination, and it tasted even better with eggettes. 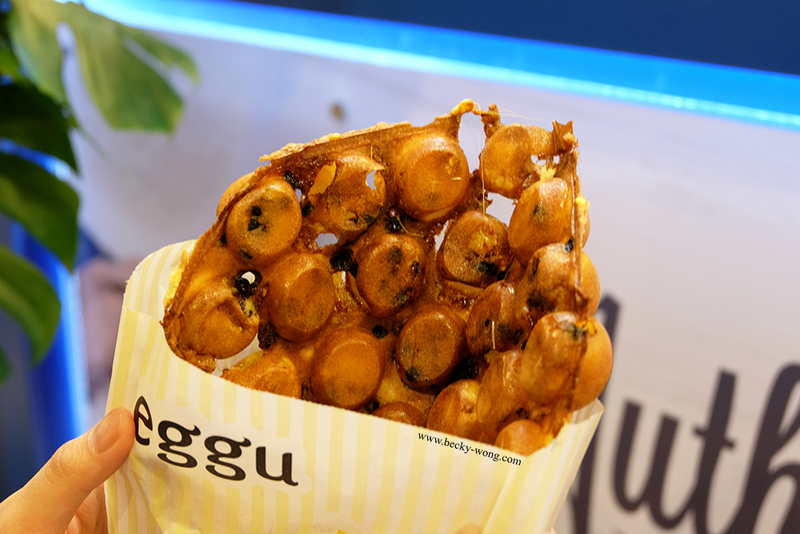 Every bite was filled with chocolaty goodness of marshmallow chocolate and crunchy eggetttes! Starry Night (RM 7.90). 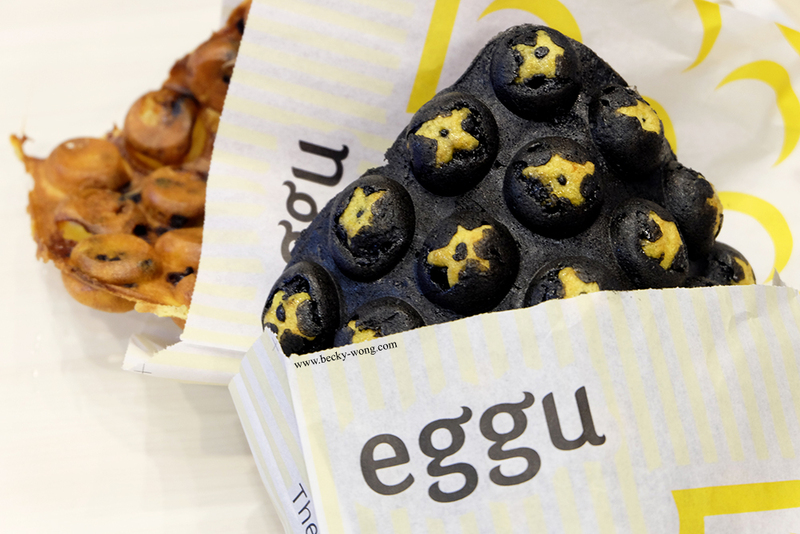 Inspired by the twinkling stars in the night sky, Starry Night is a charcoal-flavoured eggettes with crunchy honey stars in every pocket. Starry Night definitely brought back many childhood memories of mine with all the honey stars in it. 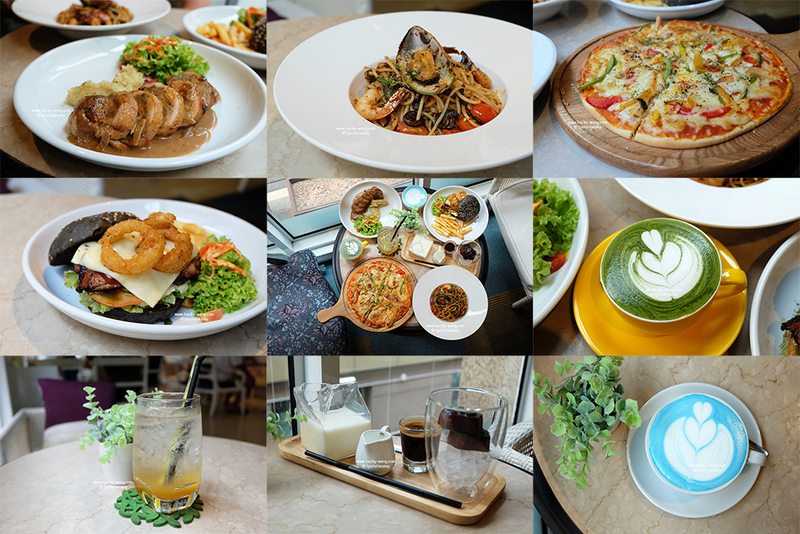 Apart from sweet eggettes, Eggu has added some savoury options into their menu too. 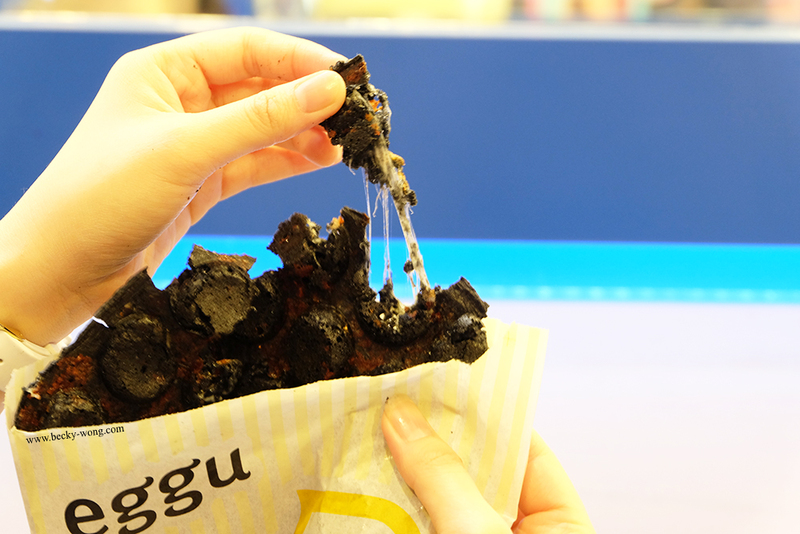 Charcoal Cheese (RM 7.90). Yes yes yes yes, cheese!!!!! Look at the cheese~~~ too tempting for me not to take a bite! Don't worry if you are not a fan of salty-sweet or cheese. The cheese flavours are very subtle, and the salty-sweet combination is well balanced. 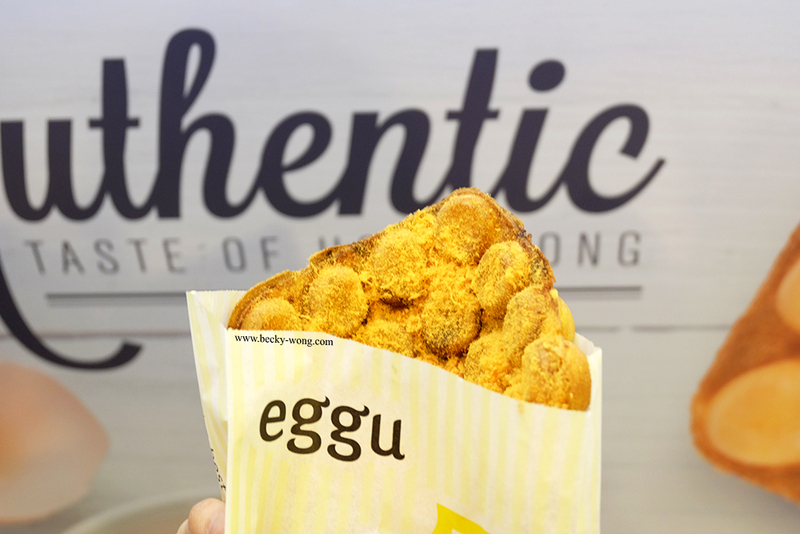 Eggettes might have been originated from Hong Kong, but for something with a local twist, it has to be the Curry Chicken Floss (RM 7.90). The curry flavours weren't too over-powering and it has a hint of heat to it. This is ideal even if you have low heat tolerance. Honey Green Tea (RM 4.80). 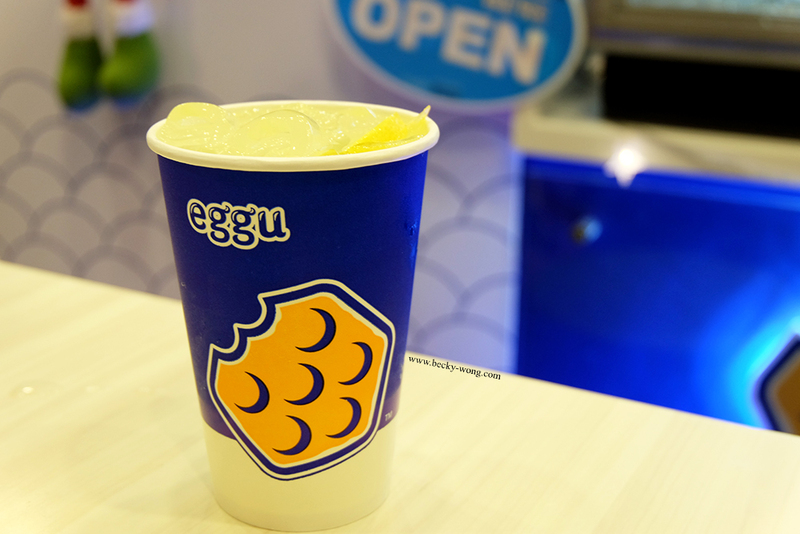 After all the yummy freshly-baked eggettes, it's time to wash it all down with some refreshing drinks. 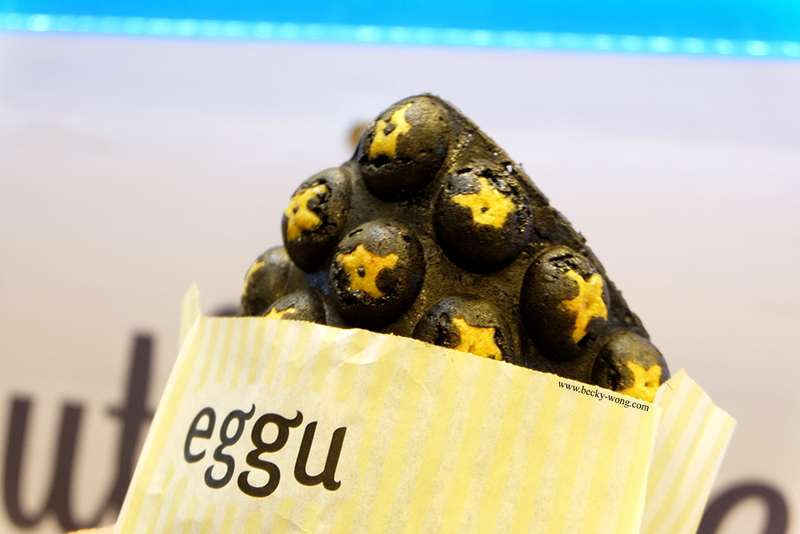 For more information on Eggu, visit their Facebook.